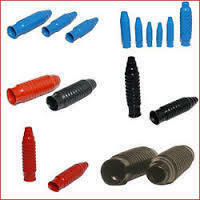 We are engaged in manufacturing, supplying and exporting a wide range of Dip Molding Handle Grips. These grips are developed in accordance with the industry set norms and guidelines to attain highest benchmarks of quality. 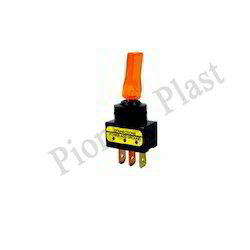 Furthermore, our offered products are applicable in general engineering, electrical, automotive and switchgear, owing to which these are widely demanded. 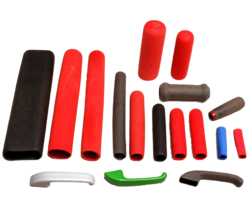 Well-known in the industry as one of the illustrious manufacturers, suppliers and exporters, we are engrossed in offering PVC Handle Grips. Shock-proof in nature, these grips are manufactured under the guidance of experienced professionals who are well-versed in this domain. Extensively used in houses and large industries, these products are widely demanded. We manufacture and supply a rich range of Handle Bar Grips, which are used for gripping of different handles. These products are available in a variety of shapes, sizes, designs, colors, finish and we also offer these products as per the client’s given information. 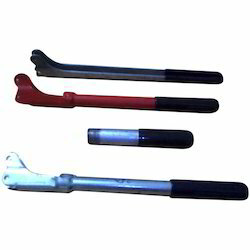 We manufacture and supply a rich range of PVC Bellows Handle, which are used for gripping of different handles. These products are available in a variety of shapes, sizes, designs, colors, finish and we also offer these products as per the client’s given information. Looking for PVC Handle Grips ?